Spanish winemaking has made tremendous progress over the last few years becoming the new idol of wine lovers. As it is the case for all Mediterranean countries, vineyards were introduced into Spain more than two thousands years ago, by the Phoenicians who founded the commercial centre of Cadix in the Southern part of the country. The Romans took over: they developed vineyards, producing more sophisticated wines and exported their product en masse throughout the Empire. German invasions in the V th century then the Muslim conquest in the VII th century put an end to the whole output. Yet wine production was given a new birth in the XV th century when Ferdinand the Second of Aragon and Isabel the Catholic definitely put an end to the Reconquista by driving away from Spain the last Muslim King. 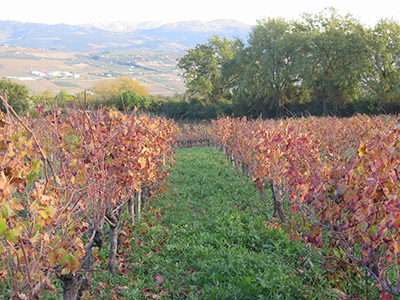 Monks started growing wine around abbeys and monasteries from Rioja trough Galicia to Cataluña. Ribadavia, drunk by Compostelle pilgrims, became known all over Europe. Actually, it was only in the XIX th century when Spain’s vineyard got structured thanks to … phylloxera. That aphid, which laid waste the vineyards of Northern Europe, forced some French winegrowers to find shelter in Spain, the country being spared the epidemic. They imported their savoir-faire and their vines: they grew Cabernet Sauvignon, Merlot, Grenache…, in particular those from the Bordeaux area in the province of Rioja and Ribera de Duero. At the same time, Spanish wine growers founded huge bodegas like the very famous Vega Sicilia and Marques de Murrieta, or invented new wines like Cava in Cataluña, a sparkling wine akin to Champagne. Then, when the aphid invaded their lands, they resorted to the solution tested in other European countries: uprooting and grafting. Very early, Spain made a point of protecting the good name of its wines since a Consejo Regulador was created in Rioja in 1926, with a system of Appellation d’Origine in order to protect the reputation of its wines. Nowadays Spain’s system is similar to the one found in France with wines listed in several categories. Top of the ladder, there are the DOC (denominacion de origen calificada); next the DO (denominacion de origen) and the DO de pago for the wine of one particular property. Among wines of a lower quality there are the vino de calidad on indicacion geografica (local wine of a superior quality, the vino de la tierra (local wine) and finally the vino de messa (table wine). Spain numbers over a thousand wines but only twenty or so take up the greater part of the country’s vineyard. As far as white wines are concerned, the biggest one is airen (grown on 450000 ha). 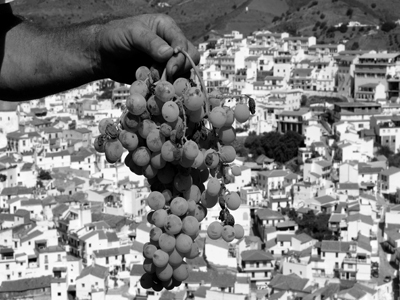 Maccabeu comes next and is used for Cava and Malvoisie on the Canary Islands. As fore red wines, the production centres on four types of wine: grenache, monastrell (also called mourvedre), bobal and carignan. Spain resorts to native types of wine like mencia from the valley of Duero, tempranillo, the King wine of Rioja, graciano, from Rioja as well. However international wines (cabernet, chardonnay, syrah, merlot…) are fast developing in new wine growing areas. Today who’s aware that Spanish viticulture is beating records? it has the biggest area for wine growing with one million hectares (13.7% of the area of the world’s total vineyard). It’s also the world’s third wine producer and exporter; it even came first ahead of France and Italy in 2013, after historic grape harvests. The French Institute for wine and vineyards regards Spain as a serious competitor: « new installations with the help of private investors and European financial aid, liberalisation of wine growing areas, modernization of wine style’s, sober and attractive packaging, excellent quality price ratio and commercial dynamics, are the assets of new Spain, the spearhead of the revival of wine growing on the old continent… ». However, does quantity go together with quality? The biggest vineyard in Spain, in Castile La Mancha, a big area in the centre of Spain uses only 12% of its soil for wines of appellations contrôlées (La Mancha, Valdepenas, Mondejar, Manchela…). This area, which resorts to 45 different types of wine, follows a very competitive and liberal pattern in order to offer wines at absolutely unbeatable prices, not always synonymous with quality. Unlike it, a new generation of wine growers, specialized in bio dynamics or bio, counts on excellency. One of them, Peter Sisseck, a Dane who settled down in Spain in the nineties in Ribera del Duero, sells a renowned vintage called Pingus. 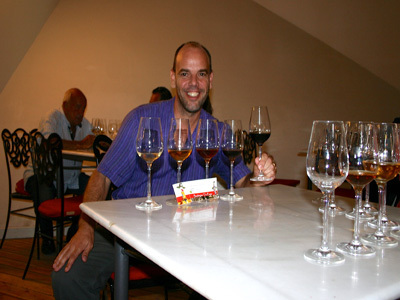 There’s also Alvaro Palacios, who settled down in the Priorat hills in 1989 to create Ermita. Such are two exceptional wines, grown in old vineyards that sell a little under a thousand euros per bottle. In between these two exceptional wines, there are a lot of reasonably priced, high quality wines from all places in the country and sold in the whole world. Rioja, in Northern Spain, may be the most famous vineyard for its red wines, produced in American oak barrels: in this area there can be found over 500 producers and famous vineyards (Vega Sicilia, Marques de Murieta, Marques de Murrieta, Marques de Riscal, Marques de Caseres…). It’s the same international fame for wines from Castile and Léon, known for there five appélations d’origine on either side of the river Duero : Rueda, Toro, Cigales, Bierzo and above all Ribera del Duero. Cataluña is also another area most appraised by wine lovers. Let’s quote Priorat and Montsant, red wines developed from Grenache and carignan vine stocks, which thrive on these steep hills. Yet the main speciality of the area, more particularly of Penedes, is Cava, the sparkling wine made like Champagne. There’s another pace which plays its game well on the international scene, namely Andalusia, growing first rate Xeres, a Spanish wine made stronger with brandy and aged in barrels around Cadix, and related to it, Montilla-Moriles south of Cordoue. Many offers are available from dry to sweet, from lighter to stronger: Fino, Oloroso, Manzanilla, Amontillado, Moscatel…). It’s tasted in typical inns (tabancos) in Jerez de la Frontera. Wherever you may go in Spain, you are most likely to taste the local AOC: Rias Baixas in Galice, Txakoli in the Basque Country, Alicante in V alence, Jumilla in the Murcie area or even on the Canaries’ main island!